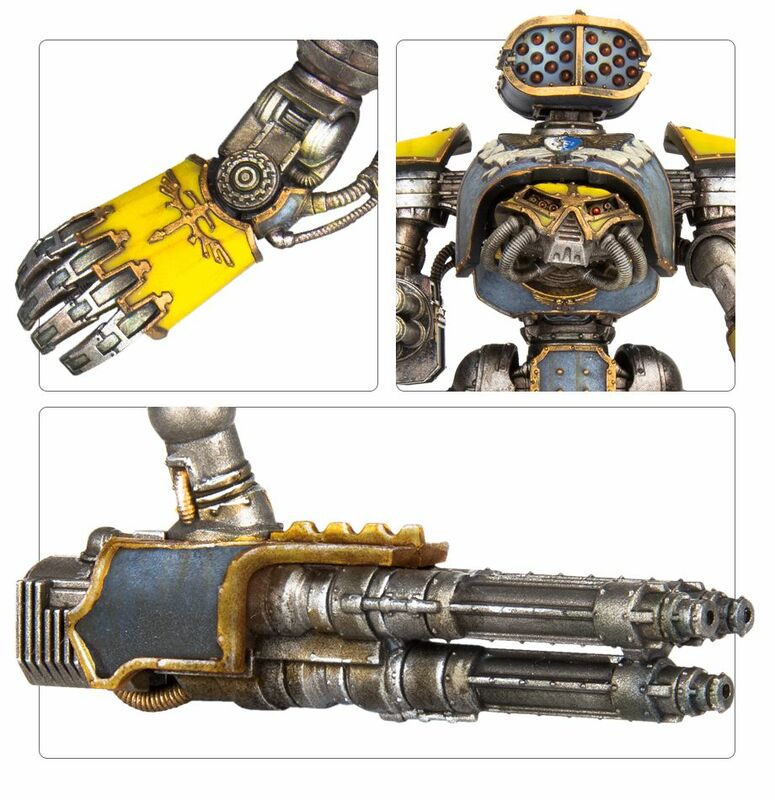 In the Heresy Era, the Reaver Battle Titan was the most common god-machine on the battlefield. Now it’s coming to the tabletop and we’ve got a look inside the box at exactly what you’re getting! 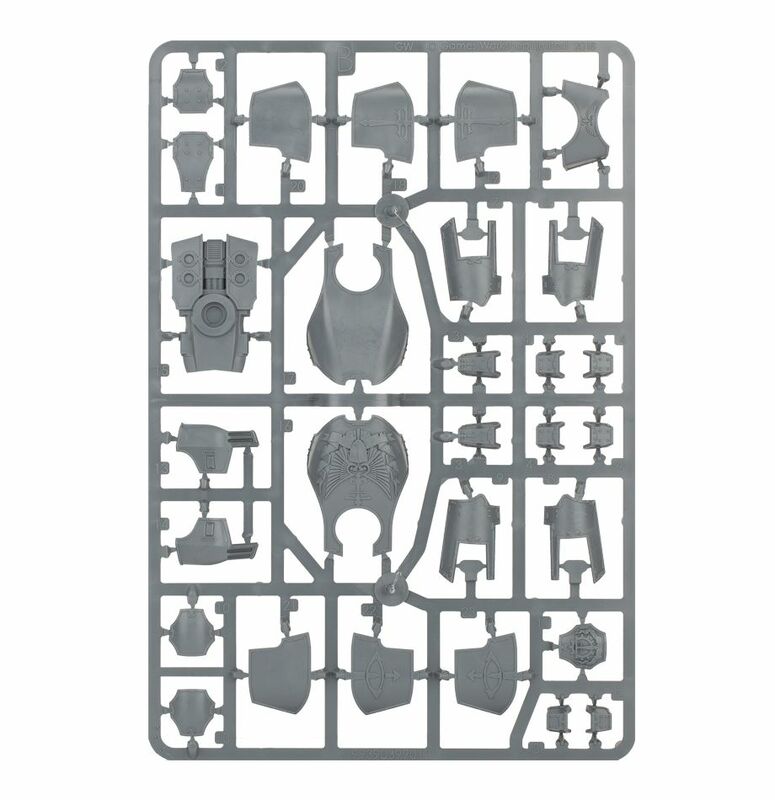 The Reaver Battle Titan box comes with 3 sprues, instructions and a water-slide transfer sheet. That’s to be expected and again, GW’s designers really did put these sprues together with the fans in mind. 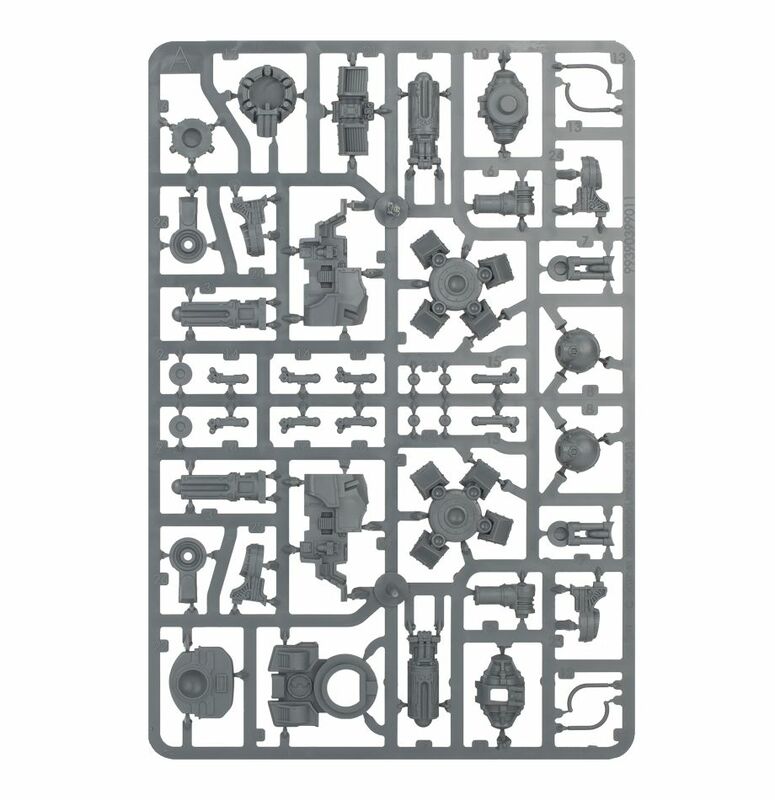 While you need each sprue to build a functioning Titan, the bits are divided among the three sprues in a logical manner. 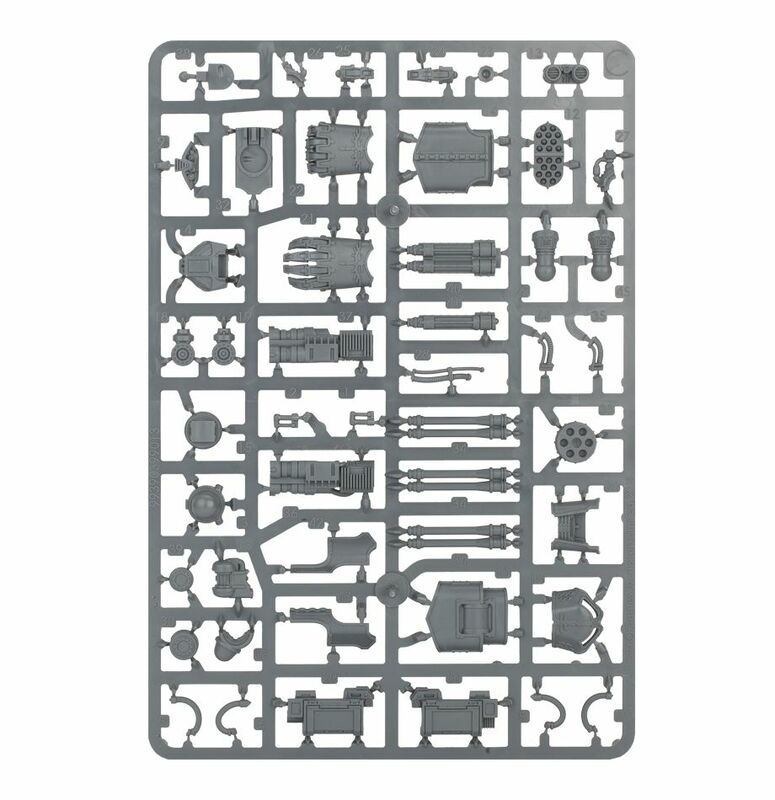 All the weapons are on one sprue, just like the armored carapace or the “skeleton” of the Titan. Now, I’m not saying that there WILL be a Chaos Titan sprue or a weapon only accessory sprue – but c’mon, Games Workshop can totally do that for the game and have a brand new set of unit options by swapping those out. There is very little overlap within these sprues and that’s why they are so great. I’d love to see the armor carapace get a “chaosified” version at some point but I’m not running things at GW. For now, I’ll stick with the new Reaver and be happy. I’m already planning out my maniple, paint scheme, and getting some learning games in. From the learning games I can certainly see how much the Reaver is going to add to the game on a tactical level right now. Having the Warlords square off is cool and all – but really you’re just trying to blast each other from range right now. There isn’t a reason to maneuver unless it’s to get a better angle. Yes, Knights certainly help and they are totally needed to round out the game, but the Reaver provides enough firepower and speed to help round out the extremes. I think the Warhound will do the same when it arrives later. 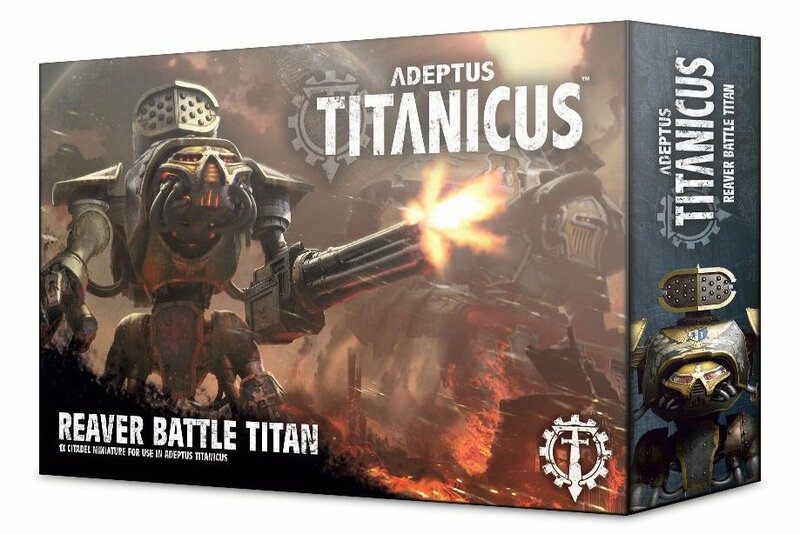 The new Reaver Battle Titan is coming this weekend and Adeptus Titanicus will be a better game for it!